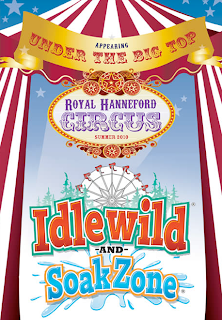 Idlewild and Soak Zone has announced the return of the famous Royal Hanneford Circus to the park for the 2010 season. "The Royal Hanneford Family Circus last visited Idlewild & Soak Zone back in 1997, and from the day the left, our guests have never stopped asking for the circus to return, " said General Manager Brandon Leonatti. "We're thrilled to bring the circus back to Idlewild - summer can't come fast enough!" Idlewild will host the circus under a big top tent behind the Mister Rogers' Neighborhood of Make-Believe. It will run from June 12th, 2010 to August 22nd, 2010. Three showings a day will take place Friday through Monday, and two shows a day Tuesday through Thursday. What a perfect treat for Idlewild guests. It isn't always easy to make a great park even better, but Idlewild has gone and done it!